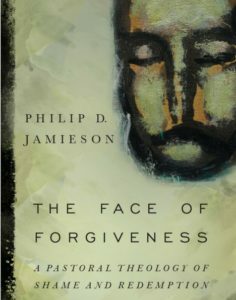 Dr. Philip D. Jamieson is President of the United Methodist Foundation (Memphis and Tennessee Conferences) and author of The Face of Forgiveness: A Pastoral Theology of Shame and Redemption (IVP, 2016). I recently saw Martin Scorsese’s new movie, Silence (based on Shusaku Endo’s novel). It tells the story of the brutal suppression of Christianity in Japan during the seventeenth century. Over 300,000 converts to Christianity had occurred by the end of the sixteenth century. But Japanese leaders began to resist the faith when they began to perceive it as a threat to Japanese unity and as a cover for western imperialism. The story follows the work of two young Jesuits who have secretly entered Japan in order to locate an older Jesuit missionary priest who is said to have renounced the faith. The young priests refuse to believe the rumors and perhaps the climax of the story comes when one of them finally meets the older priest. Muc h to the young priest’s (Father Rodrigues) horror, the elder Father Ferreira has indeed become apostate. Ferreira tells Rodrigues that Christianity should never have been brought to Japan. It had no place there and that the “swamp” of Japanese culture had rotted the young root of Christianity causing something else to grow which was not the true faith. In spite of Ferreira’s assertion, there is much evidence to the contrary. A number of Japanese Christians accept martyrdom for the truth of Jesus and sing hymns to him even as they are dying. But even if Ferreira’s statement is untrue, it does raise an important missional question. To what degree did the guilt-focused western presentation of the Gospel inhibit the acceptance of Christianity in Japan? Stated differently, how might Christianity been differently perceived and therefore received by the Japanese had there been a more adequate shame-focused presentation? What might have happened if the Japanese were offered a different understanding of honor, one not based upon a strict hierarchy but upon the God revealed in Jesus Christ who embraces shame in order to reveal true honor? That is one of the primary considerations of one of the earliest (and still best) presentations of an atonement theology focused upon shame rather than guilt. C. Norman Kraus served as a missionary to Japan with the Mennonite Board of Missions. Part of the fruit of his labor was Jesus Christ Our Lord: Christology from a Disciple’s Perspective (Herald Press, 1990). He writes, “I have been disciplined to learn how to read the Bible from the perspective of a new culture. Different cultural assumptions, surprising questions and responses, and different definitions and conceptualizations have time and again forced me to reexamine what was simply taken for granted in my Western orientation.” (15) Again, how might things have been different for the first Japanese Christians had such cultural considerations been made. Having been snubbed by both audiences and Oscar, one reviewer has observed that Silence is perhaps too Christian for Hollywood and too Hollywood for Christians. That may very well be the case. But another answer for the lack of reception is that we all still continue to struggle with shame; be it ours or that of others. What do you think Dr.Jamieson, would have been the difference in the acceptance of Christianity in the Japanese culture? Or for that matter, in and honor and shame based culture? I’m finding that the breaking away from a community based on honor and shame requires living under a different kind of ‘shame’ in order to honor Christ. What I don’t know is how that is possible without the grace of God. I think that it is completely impossible without grace, but that is what is provided us by the life, death and resurrection of Jesus. I try to explain that in my book. Thanks for the question. My limited reading of Japanese history suggests the Portuguese had guns and this made the Shogun who let them in more powerful. Just before the final battles that would have made him top, enough others (Japan was feudal) banded together. There had been previous efforts with little success. Same happened to end the power of the Nestorian church in the East in 1300’s. Some of its growth came when Generals felt the Christian God gave them victory. Turned when Allah gave them victory. Multitudes dies at the hands of Genghis Kans grandson – who had been raised a Christian.